I have been sending out a mass email of our adventures at Verity to a number of family and friends ever since we first started school there. Well, I did an email survey right before we left Flint asking how many people had prayed specifically for us while we were there at school. My mass email list contains 61 addresses and at this point I have received replies of 38 people that have prayed for us. I want to thank them for taking us before the Lord, and I will gladly give testimony to the power of prayer. Many times things happened, tests were passed, days went well and I knew that it was because of so many others who took the time to be a part of our college endeavor. So thank you for caring and thank you God for hearing and answering, I am so glad that I am your child. On another note, we celebrate Thanksgiving in a whole different way down here in Texas. This is yesterday. 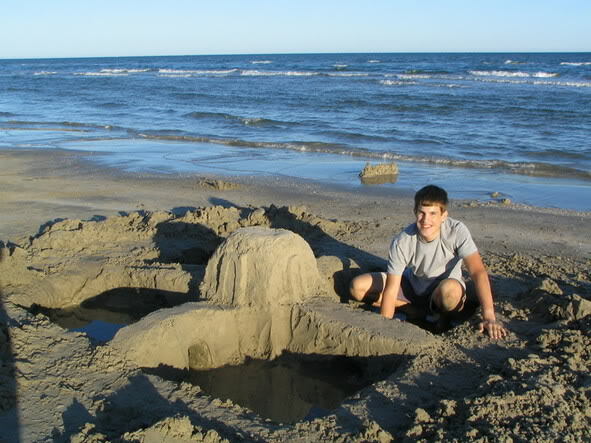 These are Texas “sandmen” a carry over from my experience in MI. Katie poses with a more traditional sand castle. Brian is trying to finish the Ziggurat that some of the others started. 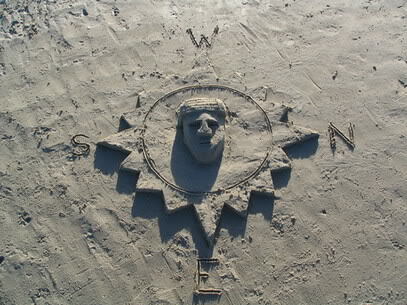 Brian also made this compass/sundial design. 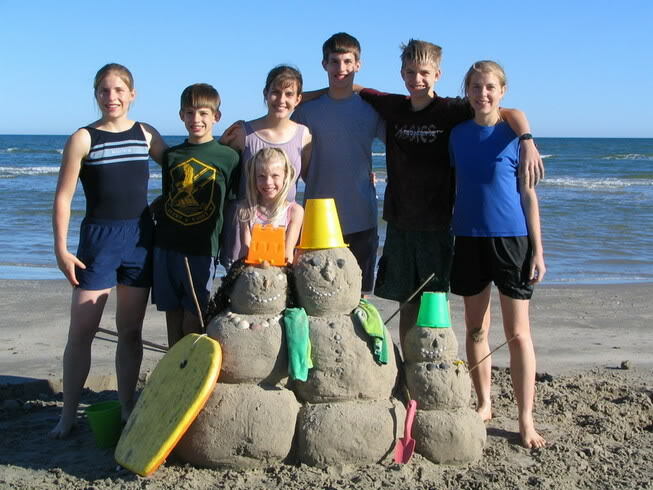 So you see, all that snow sculpting was a carry over from practice we have every year at the beach. Snow just works a whole lot different so we had a learning curve when we first got to Flint. One other neat thing that happened was a large school of fish got trapped between the shore and a sand bar and we splashed around for half an hour trying to catch some. Finally giving up we walked over to a fisherman to inquire as to the species and after informing us that they were white fish (I guess as opposed to red fish) he proceeded to catch and give us five of them. So thank you to this nice Canadian who took it upon himself to please the whim of two girls. God is so good, praise His name all you people! Happy Thanksgiving!